How does the brain process the actions of other individuals? How is the neural processing of others’ actions different from that of one’s own actions? More than 20 years ago, an Italian research team led by Giacomo Rizzolatti discovered nerve cells called ‘mirror neurons’ in the monkey brain — they fired in a similar manner when an individual (recorded monkey) performed an action or observed another individual perform the same action. The discovery of mirror neurons contributed to the emergence of social neuroscience, an interdisciplinary field that seeks to clarify brain mechanisms underlying social cognition and behavior. The resulting information is now widely discussed as a basis for understanding others as well as their mental states. However, until recently, a critical piece of the puzzle was missing. If the same group of nerve cells were active during performing and observing an action, how could the brain distinguish between the actions of the self and others? A Japanese team led by Masaki Isoda addressed this long-standing issue. The researchers recognized that turn-taking tasks could be suitable for this purpose, in which two monkeys placed face-to-face switched the role of action execution and action observation while measuring the activity of nerve cells in the two conditions. The ability to take turns is the basis for many aspects of social interactions, such as a conversation. 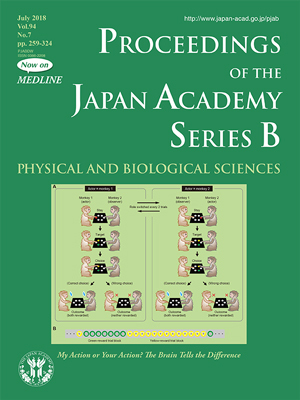 The cover illustration shows the sequence of events in the task they developed. In each trial, one monkey was assigned the role of the actor and the other monkey the role of the observer, with their roles being alternated every two trials. The actor made a choice between two different colored buttons for a juice reward. The researchers found that the monkeys were capable of observing and learning from another’s action when planning their own choice. As described in this issue (pp. 305-323), these analyses identified specific groups of nerve cells responsible for the ability to distinguish between self-actions and others’ actions. 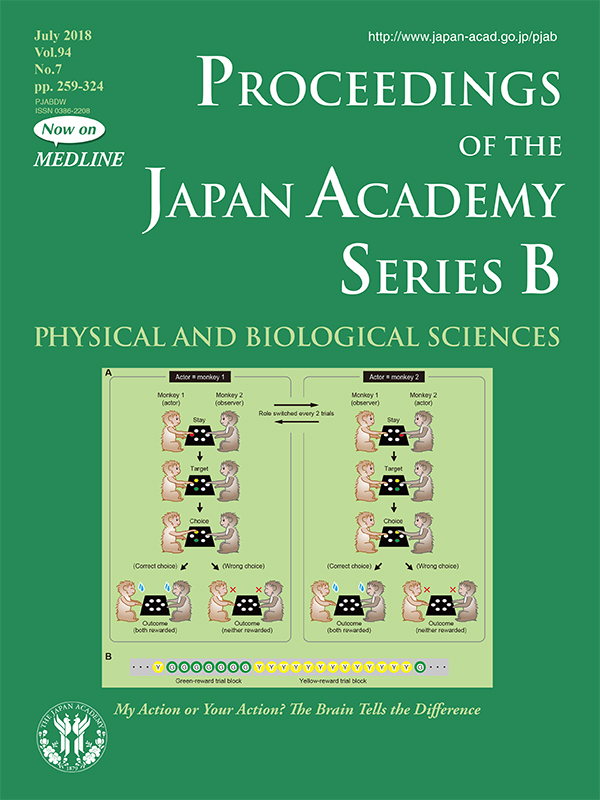 This novel experimental paradigm is capable of impacting significantly on the way in which social neuroscience studies using monkeys are designed and performed.